This is the first year I've attempted a garden. Back in March, I bought seeds & a tray to give the plants a head start. Most of my seeds grew nicely into little seedling plants. We built a simple frame for the raised bed and filled it in with soil. I should have done more research on how big each plant would grow because I definitely planted too much in this small space! Because there were too many plants in my bed, some didn't get the sun or the room that they needed to grow. Yikes.. that's a bit of a mess.. I planted Cherry Tomatoes, Large Tomatoes (I forget what kind), Cucumber, Summer Squash, Romaine Lettuce, Sweet Bell Peppers & Basil. 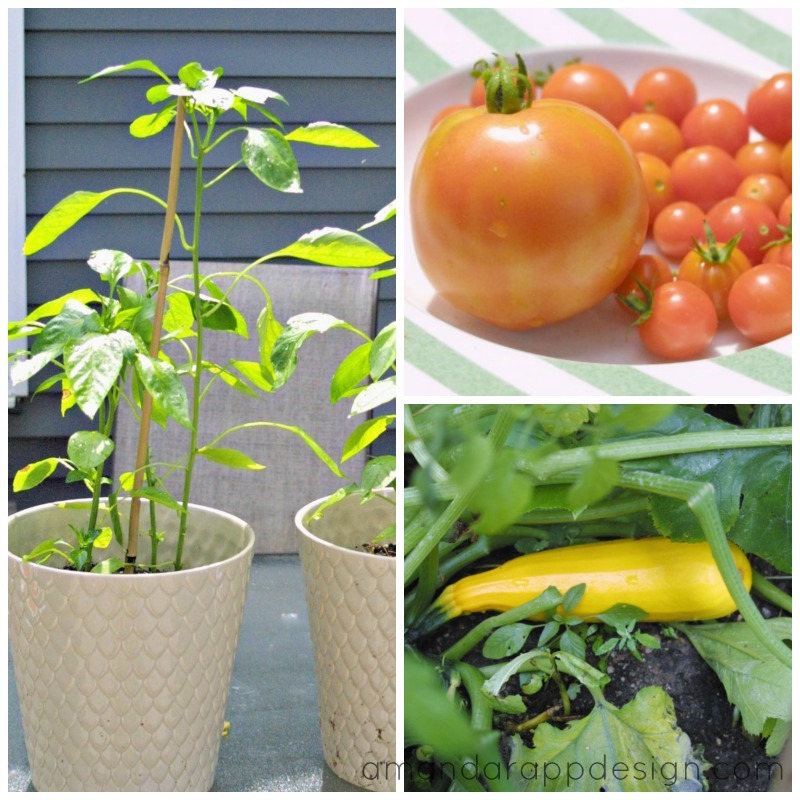 I ended up pulling out 1 Tomato and 4 Sweet Pepper plants to put in separate containers. Clearly, way too many varieties planted! - Add zucchini (instead of cucumber) & squash in large pots (or maybe a smaller raised bed) in front of the trellis we have on the patio. This should save space and add some extra privacy. 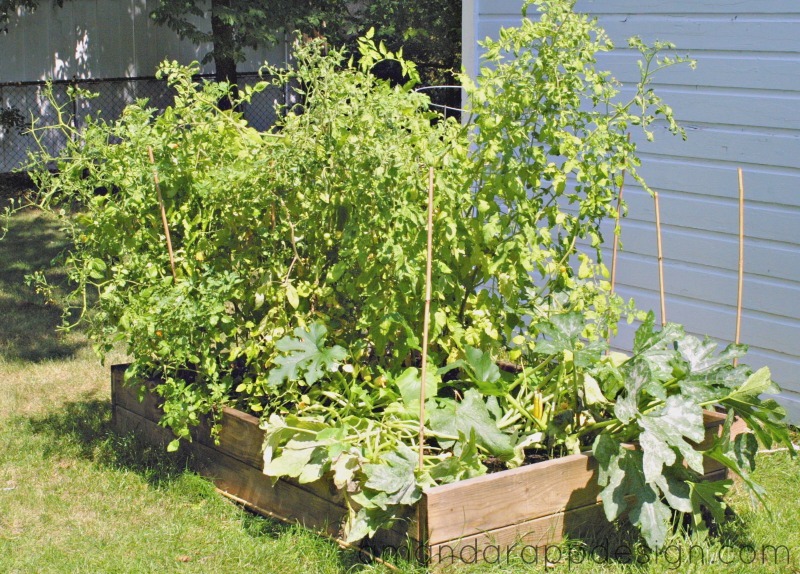 -Skip the Lettuce, or at least reduce it and plant earlier. In the summer heat, it was sort of soft and not crisp.